Minnie Louise (Johnson) Rembert was born in Catherine, AL to the parents of Miller and (Donnie) Johnson delivered by a midwife. She attended St Peters Lutheran Elementary School. She was at the top of her class academically. Her soprano voice was discovered at an early age while singing in the school/church choir. Minnie attended Miller’s Ferry High School located in Miller Ferry, AL. There were many accomplishments during her high school years. She excelled academically, she was the leading running guard on the basketball team and was Class Queen and had the opportunity of riding on the school float with the captain of the football team for four years. Minnie is a positive product of the Civil Rights Movement. 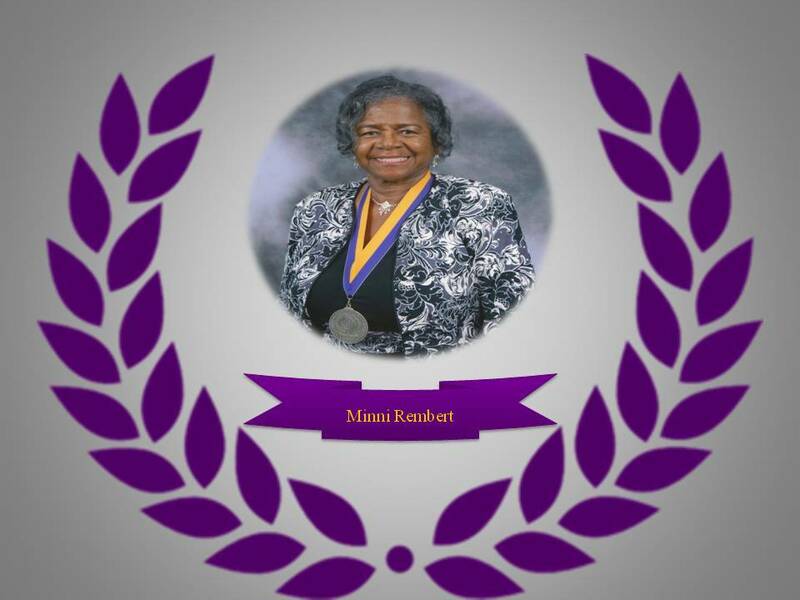 She attended Miles College in 1957/58 with a Business Major. She continued her sportsmanship as a Cheer Leader for Miles College. The skills she obtained while attending Miles College continue to be displayed by always presenting herself as a professional, respectful Christian woman.